September 21, Alzheimer day. Twenty million people worldwide are diagnosed with Alzheimer. Alzheimer is named after the German doctor Alois Alzheimer. His diagnostoc process is still used today. Alzheimer is a frighting disease. It sneaks up on a loved one, the gradual destruction the grey matter in the brain. More people get Alzheimer because we all have gotten older. Our life styles are better, health care is improved, our diet is better. we get older. Alzheimer: what are the signs? We all forget things. And almost all of us, at one point in time, fears to have Alzheimer. But Alzheimer goes beyond occasionally forgetting something. You happened to get lost in a familiar environment. You don’t recognize someone from your past. Your mood and/or personality has changed. You get problems speaking or writing words that used to be simple. You can get trouble driving or walking home because you have forgotten the route. 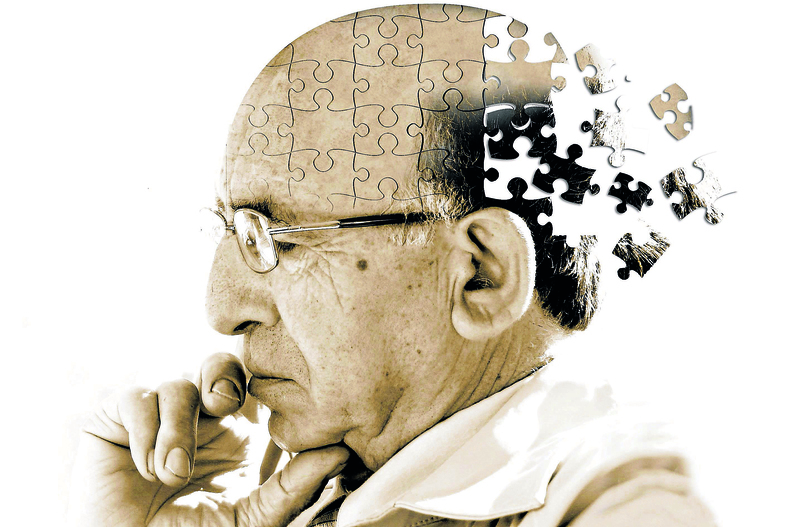 The chances of you getting Alzheimer increases significantly with age. Above the age of 85 your chance of getting Alzheimer increases with 15 percent! Please remember: only a doctor is able to diagnose Alzheimer. After taking an epidural, the doctor searches for certain protein: bèta-amyloïd en tau. They are not eliminated anymore but stored into the brain. But the doctor can also order an MRI or CT scan. Alzheimer’s disease starts in the entorhinal cortex and these patients are known to have sleep problems. Research in animals indicates that the entorhinal cortex behaves as if it remembers something. One of the first things that might alert you to Alzheimer is vivid dreaming. Now I don’t mean to scare you. Having a vivid dream does not mean that you might suffer from Alzheimer. But there is a tendency for the brain to behave this way. Especially when you are a men who walks, talks or hits out in their sleep, there is a chance you have an increased risk of the disease. Thank you for sharing Susan. And welcome back!